T-shirt from Chinese New Year. 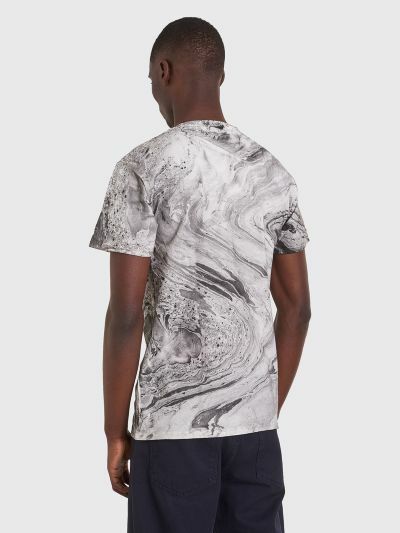 Hand marbled cotton jersey with screen print on the chest, ribbed crew-neck and short sleeves. 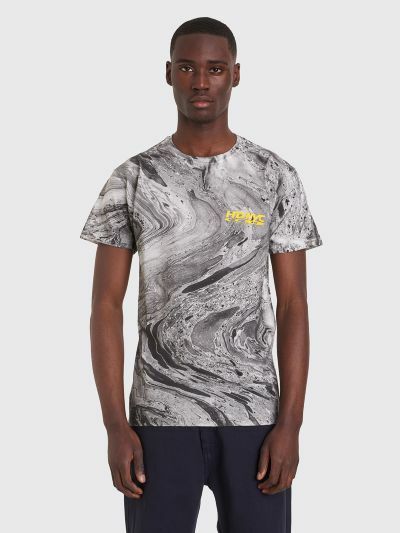 Due to the technique used to dye this t-shirt each style is unique and may differ from the one displayed. 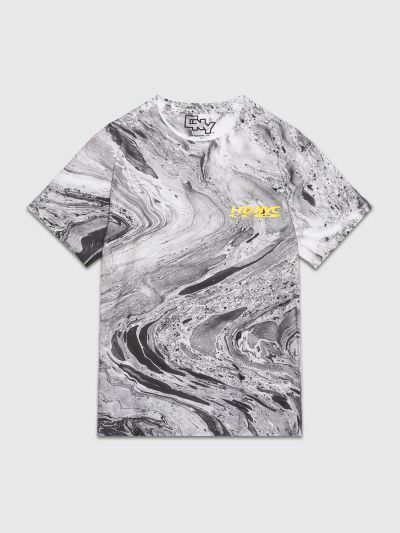 Black and white t-shirt. Made in the USA from 100% cotton.